Our professional Casino Quality All Metal Poker Drop Slide are made for heavy duty long term casino use and guaranteed for a full year. This drop slide has four recessed screw holes, allowing you to solidly screw this down while adding a professional clean look on your gaming table. There is a stainless steel slider which in encased by two pieces of solid black steel when opened, lets the chips fall through to the drop box under the gaming table. When this drop slide is not being used there is a very strong spring which holds the slider shut. If you do not require an all steel drop slide please see item 70-0008. 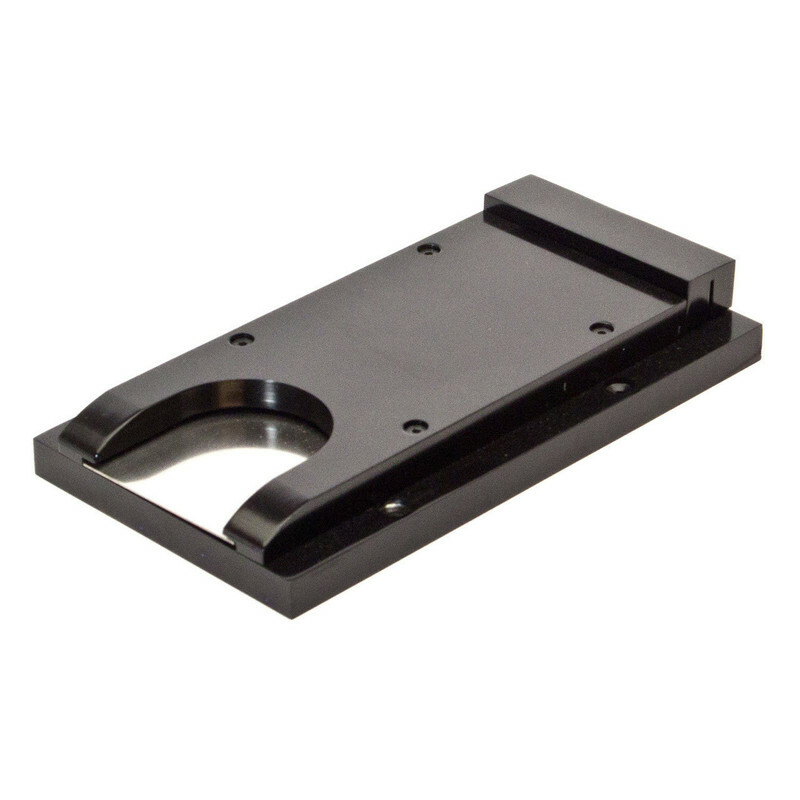 These drop slides have a round 1 1/2 inch diameter opening under the slide. The body of the drop slide is 3-3/4 wide by 6 7/8 long and 1 inch tall.